A new week adds new flavour to our curated Desi Hip Hop playlist! Some really great releases to feature in this week’s edition of DHH Hot 5! Artists from across borders doing it big with so many songs released and promoted. The soundscape of Desi Music is truly being pushed to its limits by all the major artists involved in the scene. 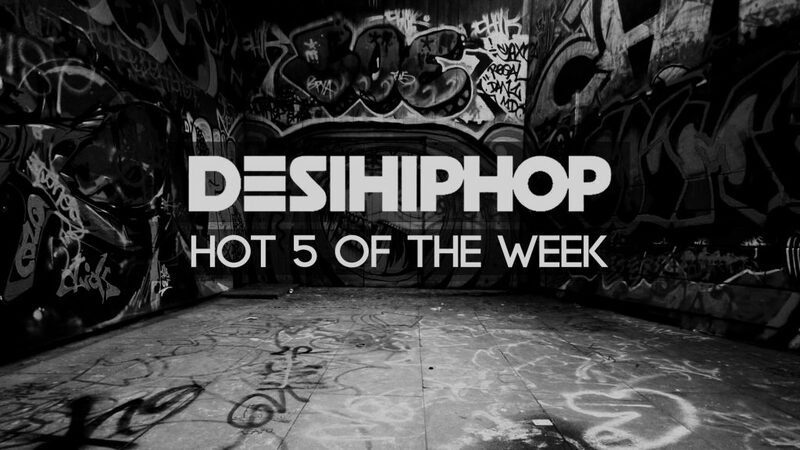 Check out Desi Hip Hop’s 5 picks for this weeks DHH HOT 5! Bombay based emcee X-Centrik just dropped a sick tune for our special edition of Freestyle Fridays Mumbai series. Known for his skills as a battle rapper, X-Centrik has made quite a name in the scene for his penmanship. His freestyle verse is no different, as the emcee doesn’t fail to deliver on lyricism. In his latest drop titled ‘404 Error’, the emcee doesn’t shy away from exploring the melodic side of his artistry. That is what sets this song of his apart from everyone else, because of how fresh it is! Bollywood top emcee Badshah has just released his first single from his upcoming studio album “O.N.E.” (Original Never Ends).The song “Heartless” is certainly representing a good side of Hip-Hop in the nation. There is a gap between storytelling that is prominent in the underground scene and lack thereof in the commercial zone. Badshah has done a job more than well done to link his creativity and work around this prevailing distance. This Mumbai Delhi collaboration is probably one of the most liveliest ones to come out of the scene. Put together by Sunit Music, the emcees ripped the beat apart with their Hindi rhymes. Calm, Encore ABJ, Yungsta and Dee MC put together an audio treat for their followers and the reactions from them says it all. This has to be the best to come from Dharavi United as a giant body of hip hop artists spread across the place. Hip Hop breeds in these streets and that’s exactly what the video portrays. The music by Bluesanova blends every emcee’s style distinctively into the beat. MC Altaf, 7 Buntaiz, Dopeadelicz went back to back on this monster beat and skateboard plus BMX artists went ham on the track for the video!